Daoud, 20, who served in the Undergraduate Senate at Stanford, wrote in a Facebook post last month that he will “physically fight zionists on campus next year if someone comes at me with their ‘Israel is a democracy’ bulls**t … and after I abolish you’re a** I’ll go ahead and work every day for the rest of my life to abolish your petty a** ethnosupremacist settler-colonial state.” Under pressure, he later substituted “intellectually fight” for the offending words. As calls for expulsion and prosecution mounted, Daoud resigned his position as a residential assistant, and played the “transgenerational trauma” card. His grandparents had been among those who fled during Israel’s 1948 War of Independence. He was still suffering from long-term PTSD. The nakba made him do it. Surely he has given us much to think about. It may be the greatest gift that some of his like-minded relatives have given the West since inventing plane hijackings and suicide belts. It should follow from his thinking that if some Jewish students at Stanford were to proclaim that Daoud was an unnecessary burden on the ecosystem, which would be far better off without him, that they should be excused their verbal trespass as grandchildren of those who suffered far worse things in Auschwitz than fleeing their village. Any chance that that would happen? Cop-killers might find refuge in a claim that they have still not gotten over the horrifying effects of an ancestor’s trans-Atlantic passage in the hold of a slaver, or even a forebear’s discourteous treatment at a traffic stop. In truth, Daoud’s argument could unseat all of criminal justice. What if – just what if- a person’s crime of passion was nothing more than a flare up of a repressed transgenerational memory? You know – the time some prehistoric predecessor stepped out of a cave, and had to clamber up a tree to escape the advances of a hungry woolly mammoth? It takes a long time to get over things like that, you know. Stanford administration was relieved. It took an easy, cowardly, and – of course- politically correct – way out, rather than expelling him, which is exactly what would have happened to anyone threatening violence against black, Hispanic, Muslim, or LGBT students. It just doesn’t happen to people who threaten Jews. (And, after all, he didn’t really threaten Jews. Just those terrible Zionists, who of course are unrelated to Jews.) After looking into the matter and reading Daoud’s statement, the administration concluded “that the student does not pose a physical threat to other members of the community.” They did nothing more. Daoud signed his statement, “From a Muslim, Third-Generation Palestinian Refugee.” There is some irony – others would call it cultural appropriation – in donning the mantle of “refugee” while he is drinking deeply from wells of privilege at the West Coast’s version of an Ivy, rather than sharing the privation of some hundreds of thousands of genuine refugees internally displaced in Syria. But that misses the real point, which is how he and other Palestinians deal with the grievances of the past. The term transgenerational trauma originated in the study of second-generation Holocaust survivors. The findings – and the term – are controversial. It is a matter of fact, however, that the reactions of Jews to the Holocaust and Arabs to the events of 1948 could not be more different. Jewish survivors struggled and succeeded in building new lives and families, and adapting to the countries to which they moved. More importantly, they took a fledgling third-world state and built it into the only successful democracy in the Middle East, pausing every now and then to stave off the murderous designs of her neighbors and absorbing millions of refugees who came in successive waves. The Palestinians could have done the same, but preferred to don a laurel of victimhood, teaching their children never to give up the attempt to throw the Jews out, and basking in the glory of self-imposed poverty and hopelessness. If there is transgenerational trauma, it is to the rest of the world that deals each day with the inflated rolls of UNRWA and its perpetuation of victimhood. Perhaps Daoud will help convince some in the West to stop supporting those who allow too many people to feel sorry for themselves, rather than giving their children a chance at a future of security and success which they would have if they came to the negotiating table. The reaction by Stanfords admi istrators is illustrative of college off8cials especiallly in the Ivies who will nend over backwards to avoidriots ala rhe 1960s at Columbia and refuse to recognize real harm when it is present in their campuses tolerate conservative dissent by faculry students and speakers. it is obvious that the Marcusian view of allowing some speech at the expense of other speech is in full swing at major college campuses . Noone should be fooled by conswrvative tokwns such as tbe Hoover Institute and a few prominent conservatives. They are islands in the liberal left sea that dom8nates rules and suppresses conservative vuews in higher education today. This boils down to “I want to beat people up without consequences.” A university that makes learned excuses for such types has totally lost its way. Already in the late 1960’s, some prestigious universities were letting radicals run amok on campus. See https://www.hoover.org/research/day-cornell-died by Thomas Sowell. You forgot to mention that the Hoover Institution is located at Stanford! Not to be allowed to turn oneself into a victim with bad excuses for stupid action is a great privilege, one I wish more people would enjoy. 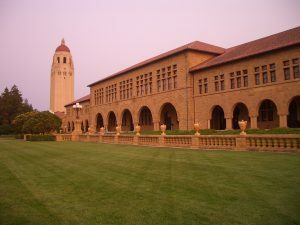 Hoover at Stanford is a classical case in point of a conservative island in a liberal/left/progressive sea. When an individual or group is confronted with a rival individual or group who displays marked superiority over them, there are basically two ways to react. Either one can take the high road, striving to emulate one’s superiors, or one can take the low road, by seeking to destroy the competition. Part of the genius of America is that from its beginnings, it has sought to adopt the values of traditional Jews. As a result, America is one of the most successful, humane, compassionate countries that has ever existed. And then there is the way of destruction, of reacting to one’s superiors by doing all one can to destroy one’s neighbors. That was how the Nazis decided to react to us Jews. resulting in extreme harm to our fellow Jews, and yet in the end, we Jews prevailed over the Nazis. There are no more Nazis, while we Jews continue to not only survive but also to thrive. The islamoNazis have so overwhelmingly decided to react to Jewish superiority in the same way that the Nazis did, that one has to wonder if perhaps the religion of Allah should change its name to Nihilism, because utter and total destruction is apparently their sole aim in life, resulting in little else but death and misery. We Jews will ultimately emerge victorious just like we always do, and yet the price we have to pay in Jewish suffering on the way to that victory is so very painful to bear. Leaving aside the considerable challenge to maintaining religious commitment at a secular university, it is completely bewildering how any Jewish parent could send their child to a liberal arts institution with the degree of antisemitism that is rampant on their campuses. It is simply not safe nor conducive for advanced education for a Jewish young adult to attend liberal universities today. If enough Jews would stop any financial involvement in those universities where antisemitism is rampant, those universities would suddenly find a way to curb their antisemitism. Same goes for the Democratic Party, where the ever increasing power of the Far Left has significantly increased the presence of antisemitism there as well. I’m not sure parents who’ve been through college realize how the scene has deteriorated since then. College choice should include at least as much due diligence investigation as buying a house. The PC outlook itself is worse and more pervasive than it once was. Jewish organizations on campus vary widely in their understanding of our enemies and their willingness to stand up for our cause. Next story Is Barkan Wine Kosher?